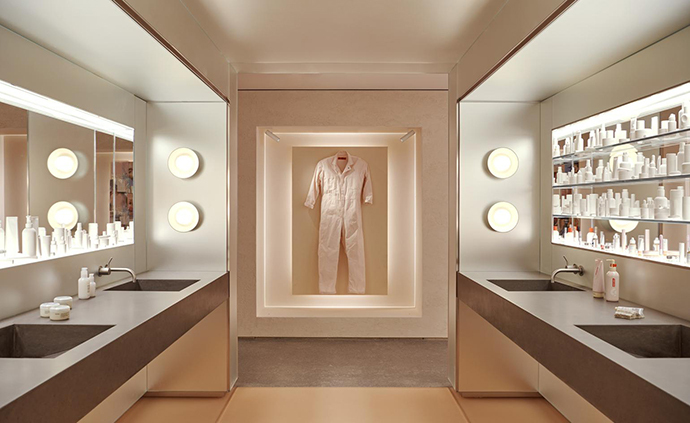 Gachot Studios has shaped the new immersive Glossier Flagship Store in New York City that embodies the touch and feel of the brand in real life. For those of you who don’t know the brand, Glossier is a beauty products company that celebrates the individual: the brand defines itself as a “people-powered beauty ecosystem”, where products are inspired by the real people who use them. Glossier personifies the powerful empowered youth that wants to be the best version of themselves and not just aspire to be someone else. 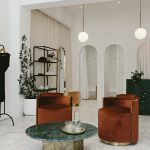 Local interiors firm Gachot Studios, in collaboration with architecture practice PRO, designed the store as an immersive community space where customers can get to know the brand and each other. 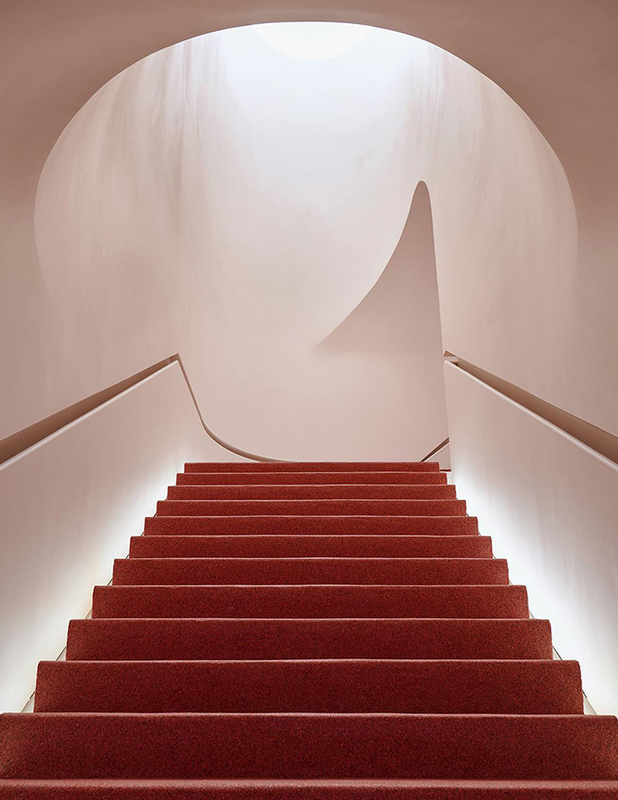 Located in the SoHo neighborhood, Glossier store entry is defined by light pink plastered walls that surround a red quartz and burgundy staircase. 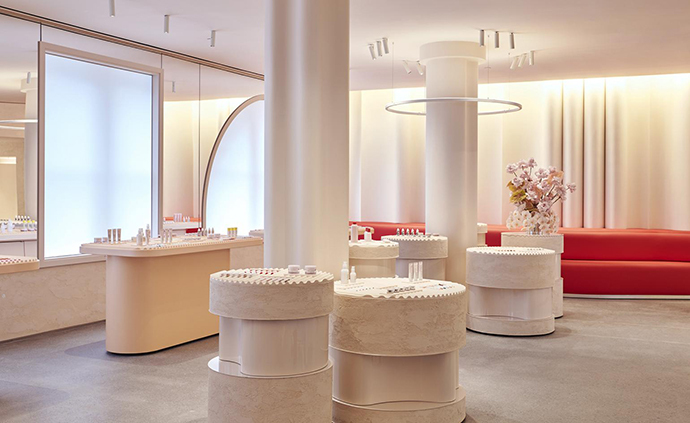 The curved shapes that welcome the customers here are then repeated throughout the second floor, where Glossier’s products are displayed on sculptural waved trays that work as testing stations. 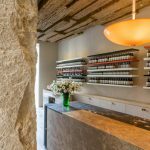 These elements are particularly interesting for their texture contrast: a juxtaposition of a smooth sculptural surface above and a more rough finishing on the monolith sides. 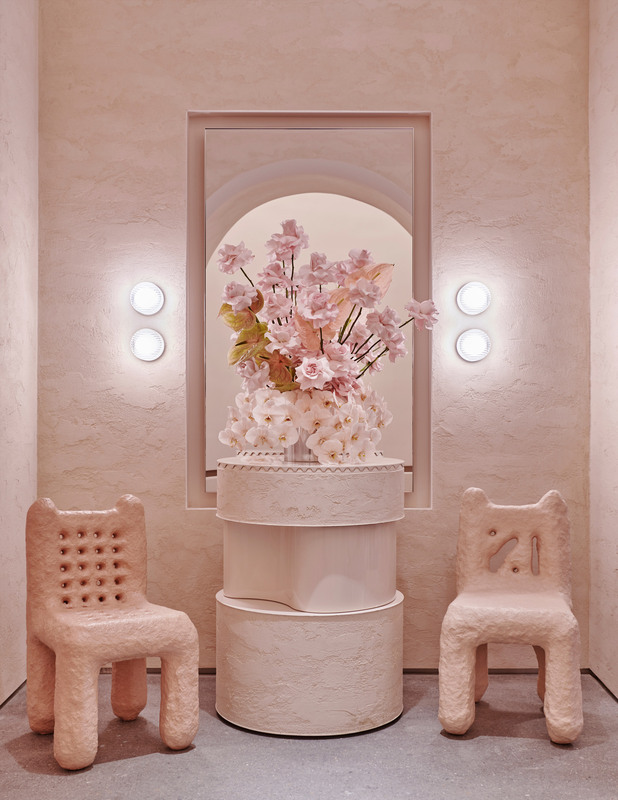 The flower arrangements by Brittany Arch punctuate the space and add a gentle yet exuberant touch. 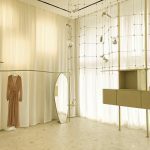 Then, thanks to the application of Barrisol thin white sheets, natural light enters the space diffusely and is then reflected by the semi-circular mirrors help creating a soft and welcoming atmosphere. A sinuous red sofa represents the playful yet sophisticated element: “We used color to highlight the brand experience, mirrors to provoke participation within the space, and mill work shapes that encouraged shared experience and community,” said Gachot Studios . 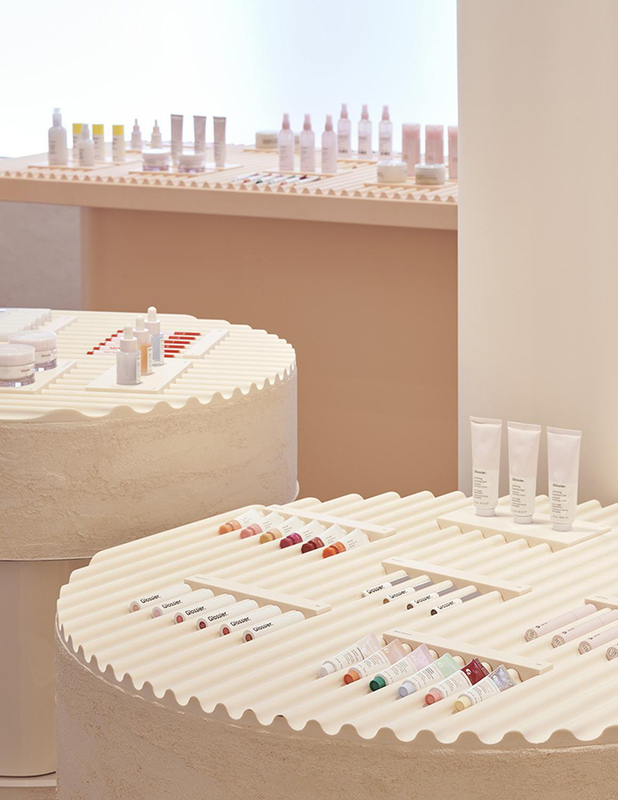 At the Glossier store, the diverse and devoted Glossier community has a space to gather in real life to connect over beauty with old friends and new ones. 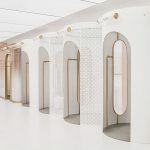 The space created by Gachot Studios for Glossier embodies the new type of retail customers that are asking for: not just a mere space to buy but a whole experience that can enrich their life. 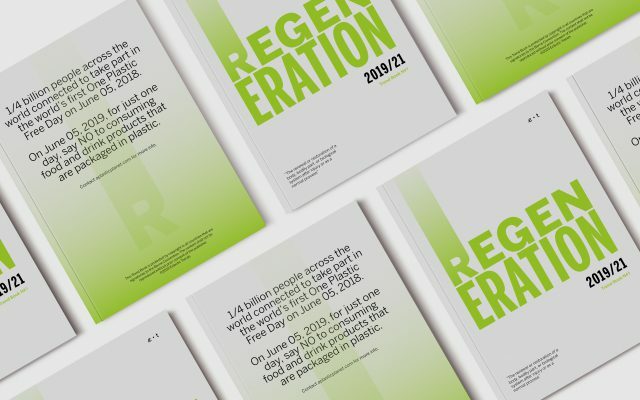 Discover here all the latest trends defining the retail design experience.